Hear as teachers and leaders at Nordonia High School share how a group of students challenged their entire district and community to use clear learning targets. How does Mrs. Cjekaj explain how she uses learning targets to be sure that everything aligns? 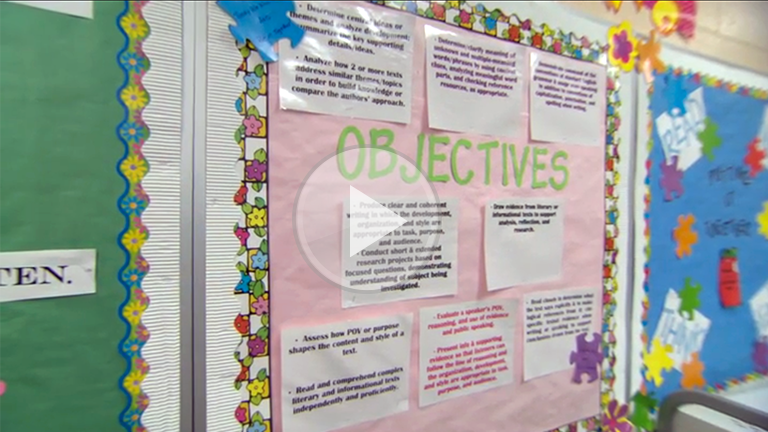 How are Mrs. Cjekaj’s posted learning targets more than just classroom décor? How did Mr. Wright take FIP school-wide and then district-wide? What actions do you take to align your learning targets, activities and assessments? What would your students say about their understanding of the learning targets? What strategies will you deploy to be sure that your posted learning targets are more than classroom décor? As a teacher and/or a school leader, how will you spread the word about high-impact formative instructional practices?